There are dozens of different animals to discover in this fun and lively book. 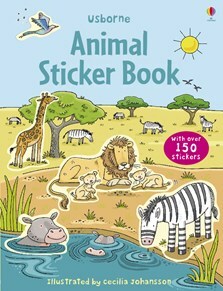 Children will enjoy using the stickers to fill the exotic scenes, including a dusty desert, a grassy African plain and a lush rainforest, with animals. Includes over 150 colourful stickers.